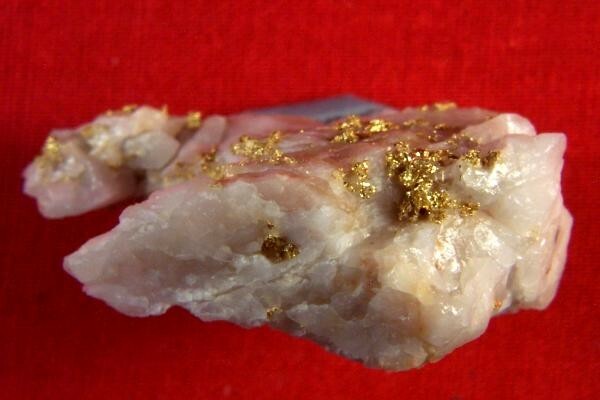 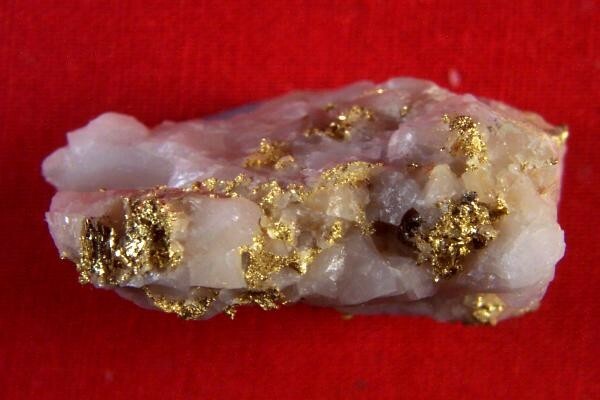 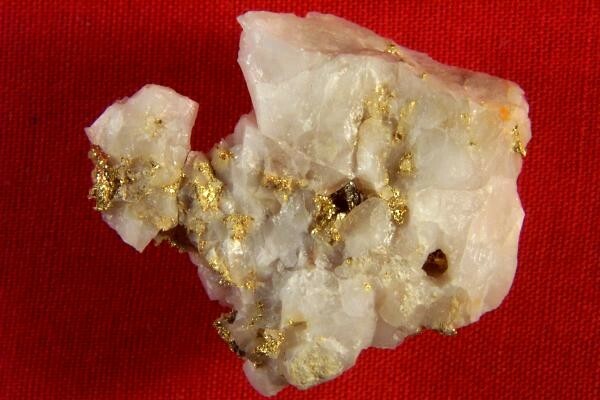 This very rare gold specimen comes from Indian Gulch in Mariposa County, California near Hornitos, and is on consignment from a prospector in California. 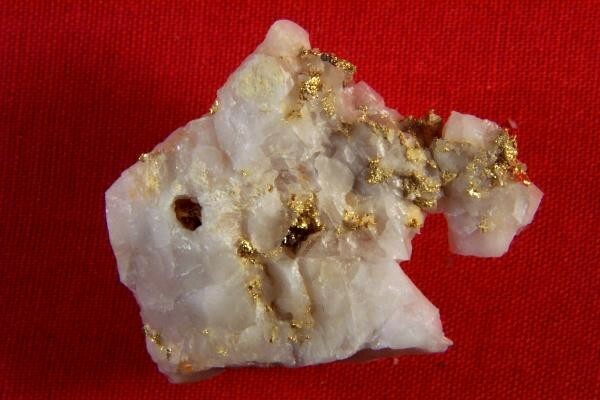 It's been a long time since I have seen a gold specimen from Indian Gulch, and I only have a couple of them so if you are a serious gold specimen collector this may be your only chance to get a gold specimen from this rare location. 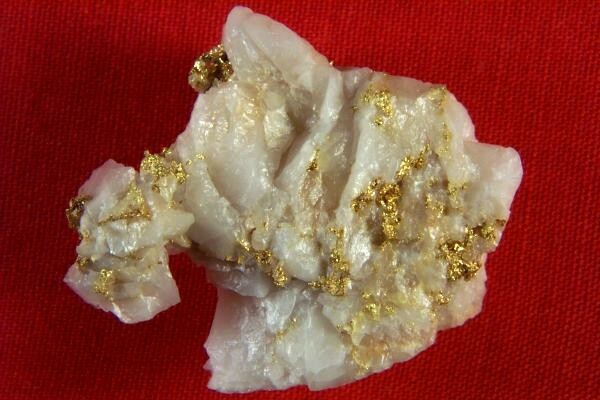 The quartz is white and it is loaded with brilliant crystalline gold. 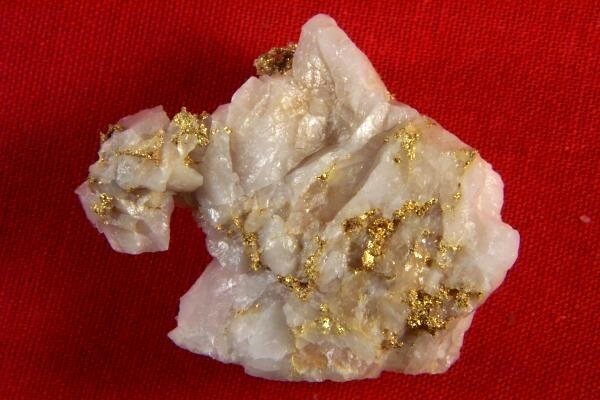 The weight of this beauty is 13.3 Grams and it is 1.25" long x 1" wide x 1/2" thick.